I’m about to watch The Thin Man. If you have never seen this movie, you are definitely missing out. It is one of the funniest movies you may ever see. William Powell and Myrna Loy star as Nick and Nora Charles, in the first of this 6 film comedy-mystery series. He’s a former dectective and she’s rich and together they solve mysteries just for fun. And their pet dog Asta is along for the ride. The Thin Man is one of the great slapstick comedies from the 1930’s; the jokes are fast and it is full of pratfalls. 1. It is wildly popular. 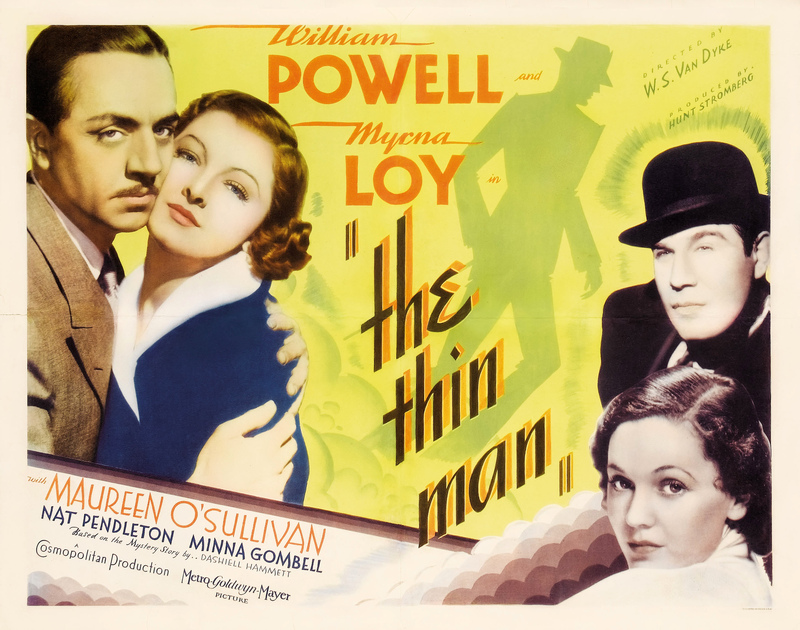 The Thin Man is based on a Dashiell Hammett novel and it spawned a radio play where Loy and Powell reprised their roles, a television series, and even a musical. 4. Asta is more than just Loy and Powell’s trusty pet dog. In many ways, Asta was the film’s breakout star. 5. It’s influence can be found everywhere. Every time there is bumbling but hilariously witty detective in a movie or on your television screen, thank Nick Charles.